Picked up Hello My Name is Jade today, i'll get a review up later on. Saw several of the rest, some are really "bleh" and others are cute. It's very hit and miss I feel. I was originally not impressed with these, but now I've done a bit of a 180 - I love the aesthetic of the comeback. I definitely want Selfie Snaps Cloe, I think I want Hello My Name Is Jade and Study Abroad Sasha, then probably Hello My Name Is Raya as well. I'm not sure which Yasmin I want to get - but they either look too angry or too sweet. I think I'll have made a decision...eventually. While I personally dislike these(some are cut but just not convinced) I hope Mattel looks at these and steps up the fashion with MH. Not like make the clothes cuter but more like this. Maybe see an expansion of I ❤ Fashion/FFashionShoes/Accessories. http://flyingpurplemonkfish.blogspot.co.uk/2015/07/bratz-hello-my-n... BAM, Hello My Name is Jade reviewed. I admit, I didn't have high hopes but i'm pleasantly surprised. The quality is really really good, more like older style Bratz from the early and mid 2000s. It's so nice to see a return to that attention to detail, i've missed it. Bratz used to delight me with teeny tiny accessories and such, and looks like they're back. I wish they had articulated arms, hopefully MGA will realise that mistake and rectify it soon. Am I the only who thinks Yasmin looks different than the others?? Well Ive only seen the Study Abroad Bratz...but there something about her that seems different than the others and Im pretty sure its her eyes...I also saw a pic of Sasha and she didn't seem to really fit in either...but especially Yasmin...almost seemed like she came from a different doll line that someone is trying to pass as a Bratz doll. 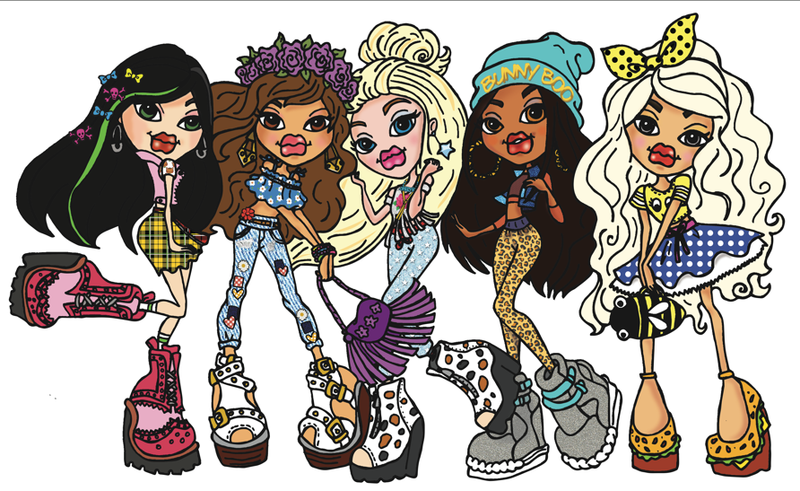 Sometimes i'm honestly ASHAMED to like bratz, and you know why? it's the fans. I have never encountered a fandom more full of vile nasty people. They jump down your throat and get personal if you dare say anything they don't agree with, there's no mature "agree to disagree" stuff, just abuse and personal attack. Calling people "stupid" "moronic" or worse. It's exhausting. MH fans are never so abusive, Barbie fans aren't. Sindy fans have their problems but they're more B***chy than they are aggressive. but Bratz fans? there's a vocal minority who are just SO nasty and it makes me not want to be part of the brand because I don't want to be associated with those people. 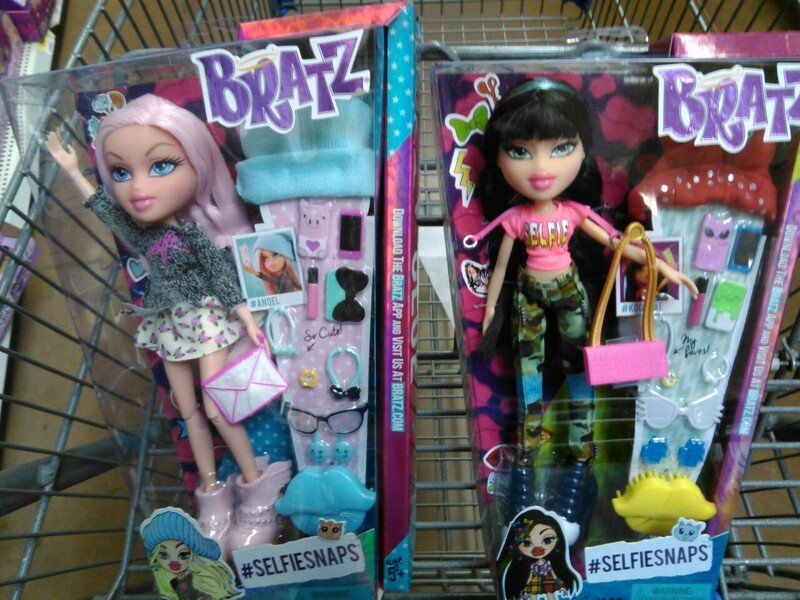 They reflect badly on the whole franchise and when people think "bratz" they think of those awful people. Have you guys noticed the ever disgusting Perez Hilton is a fan? And Bratz are promoting his disgusting blog on their facebook page? Gross. But hardly a surprise given the calibre of other bratz fans I know. just watch as they attack me, I fully expect a bratz fan lynching if I DARE speak ill of MGA's products or marketing decisions. I can totally understand this - often it's as if the mean nature of the fandom, to them it's just having a fierce attitude or 'bratitude', but there's actually no excuse for it. I like the Bratz line overall, but some of the new dolls just aren't that good in my opinion. I'll be honest about that, and I will provide my reasons. I only want to constructively criticize and provide valid reasons to why I dislike something, and in exchange I'd rather not be attacked for it. If I were generically attacking the dolls with no valid reason for it, fair enough they would scream me off the face of the earth, but that's generic hate speech. There's a very obvious difference between constructive criticism, (e.g. on your blog, you have provided valid reasons to your opinion), and the hate speech that comes out of the Bratz fandom. I don't speak for all of the fans, there are many good fans of Bratz, but a lot of bad ones too. We are reviewers of a product (even through comments) and it's technically our job to speak our truth if we like something or not. If these fans attack me and my opinions, I'll gladly post it on my blog to show people what they're like. MH fans love to scream "copy!" about things yeah, but it's not quite the same as the outright nastiness of the bratz lot. 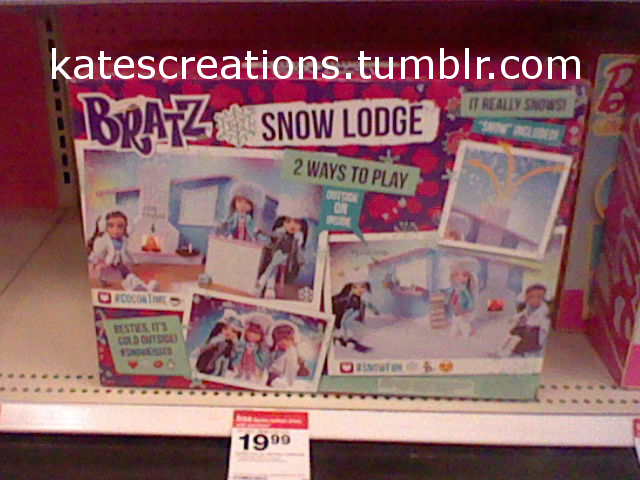 I dunno, the bratz lot have an element of cattiness that goes above and beyond any other fandom i've ever known. In all seriousness though, i'm relieved they went away. I deal with enough nastiness in my daily life without handling it online. It's funny though, different doll groups seem to attract slightly different attitudes. I've found the MH lot to be very quick to stomp about and complain (man we like complaining), the bratz lot to just be astoundingly nasty, sindy fans are really cliquey and sort of... insular. It's odd. I wonder if it's to do with demographics. Like sindy attracts mostly middle aged women, hence some of the attitudes. MH seems to attract the outcasts, Bratz the divas. Barbie is somewhere in between. For the record, Makie fans are absolutely lovely so make of that what you will. But I admit, of all products I review, i look forward to the mga products most. Why? because I have a love/hate relationship with their stuff. I LOVE mga, love em, but they're freaking crazy. Their lunacy amuses me (pooping glitter unicorns? diaper surprise babies? wth?) and it makes me smile. I have to most fun with reviews where I can crack jokes, and mga gives me much in the way of joke fodder. Does it mean I don't enjoy the dolls? heck no, I love them because of their ridiculousness. I love the trashy wedding dresses and the questionable design choices. If I didn't like them, I wouldn't buy them! I mean, I don't get stuff for free, I still have to pay for it so everything I review I have bought because I liked. Why would I spend my money on something I hated? that's silly. The jokes are made with love and affection, like my Sindy hat which honestly makes me giggle every time I look at it. I love misfit toys, those things you think "who thought this was a good idea? what the hell were they smoking when they pitched this?" and MGA seems to produce the most stuff that's bafflingly crazy. I appreciate that, and I seriously regret not buying pooping unicorn. I should have just bought it, but it never went down in price enough *sulk* I mean come one, it was a unicorn and it pooped rainbows! what's not to love about that mad concept? It's stuff like that which is why I love MGA. They're clearly absolute lunatics and it makes me smile. I'm disappointed when they're being... normal. But even when their products aren't pooping unicorn mental, they have certain quirks that appeals. their toys are imperfect and I dunno, I kinda... like a toy I can criticize and "make better" by doing a few tweaks. With much of mh it's like, debox, put on stand, put on shelf and done. And there's not that level of satisfaction you get when you take something that to your eye is just "ok" to make it something special, personal, unique. With MH on the whole they just sit in their original outfits like action figures, but bratz? Bratz I actually PLAY with because they need the hair care and the redressing. Their imperfection makes them more inspiring or something, I dunno. I just like a doll I can put my own stamp on heh.